What do you think happens after we die? Do you ever wonder about it? Religion, faith and even science have tried to define this. The fact is none of us living really knows. 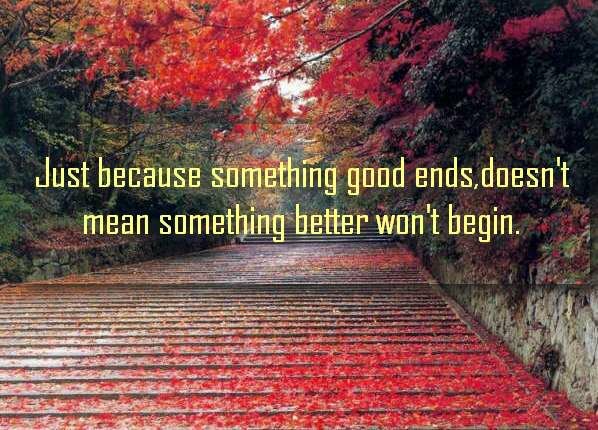 But, just because something good ends, doesn’t mean something better won’t begin. Early this morning I am flying home to New Orleans to celebrate my step sister’s life. Her death and the deaths of many friends and family members provide me these three reminders about life. 1. If you don’t go for it, it will never happen. 3. If you don’t move forward, you will dread mill in place. Fly! Lead! Be! Follow you heart and intuition! or click here to see the video.